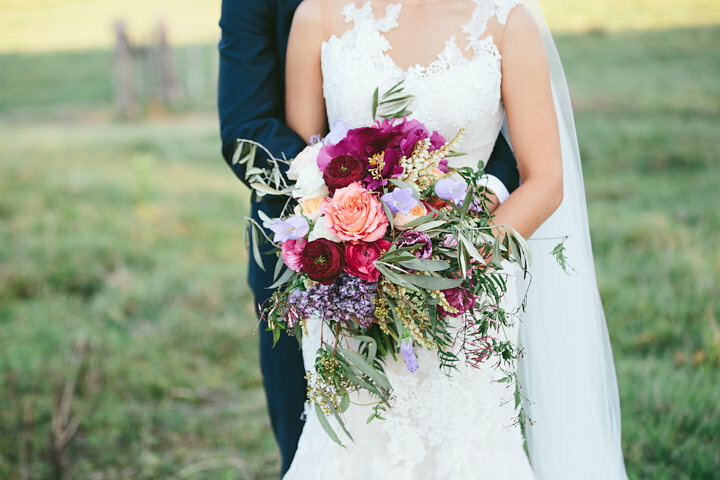 This divine wedding affair featured rich vibrant florals partnered with sophisticated country style. 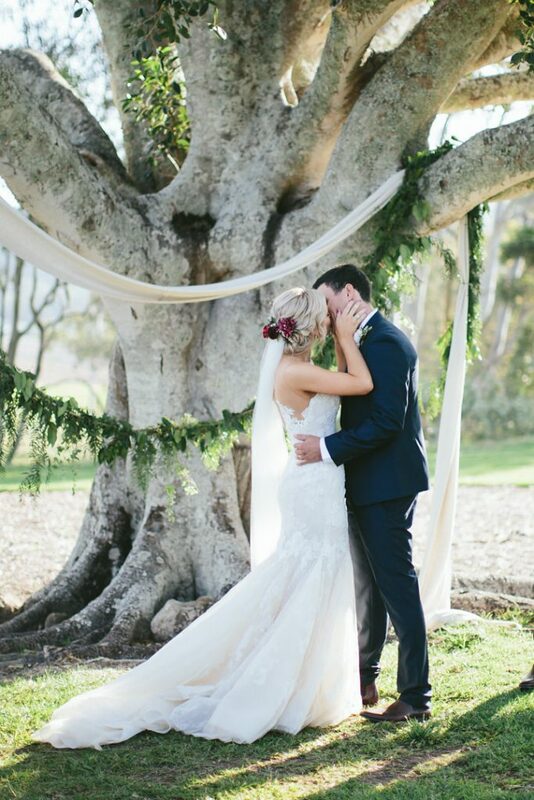 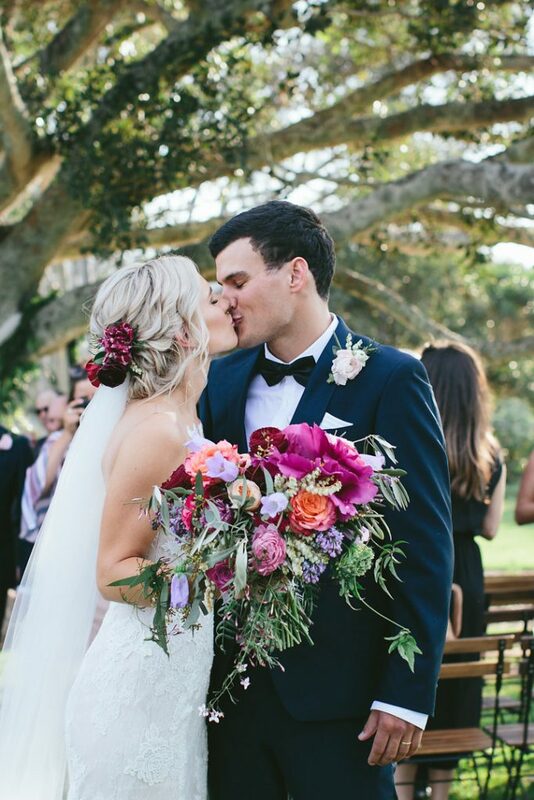 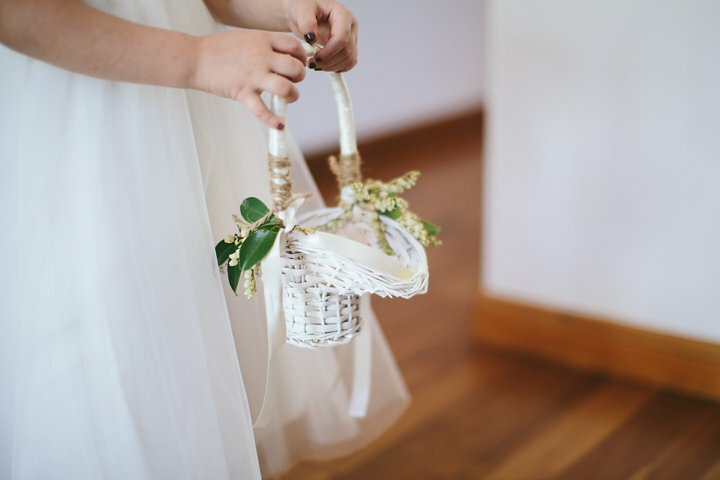 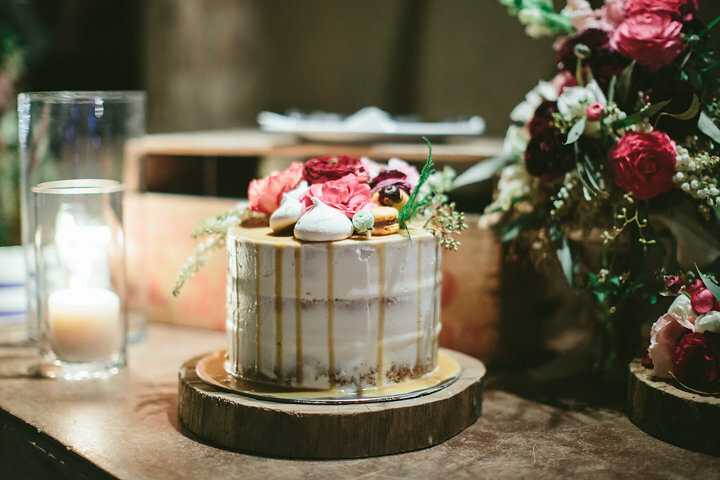 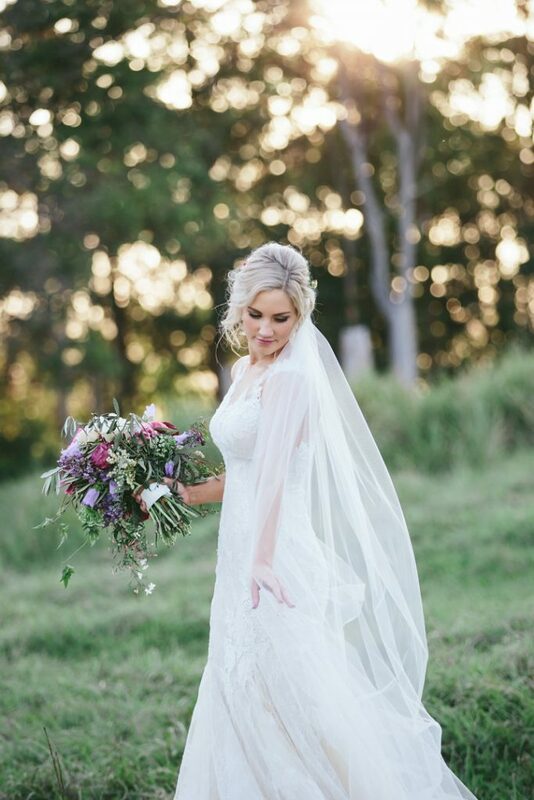 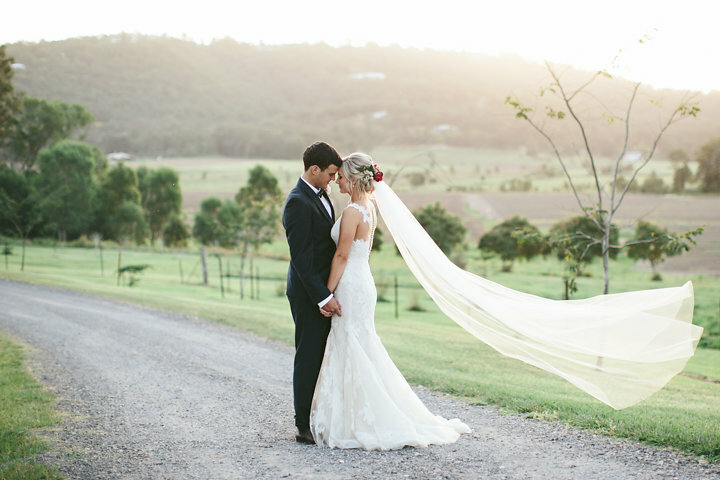 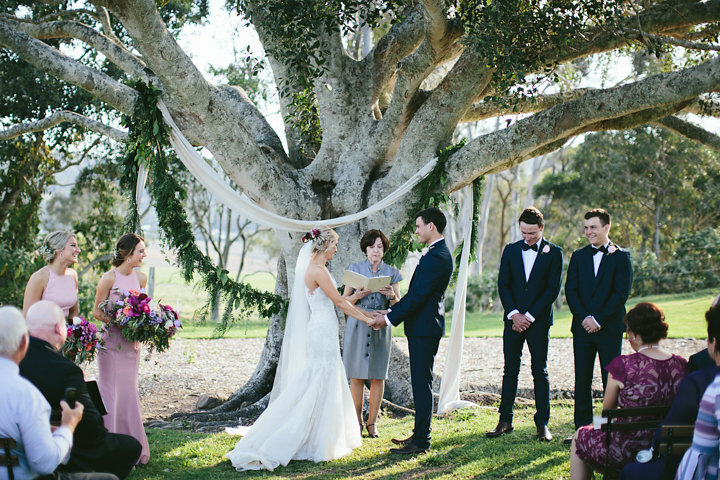 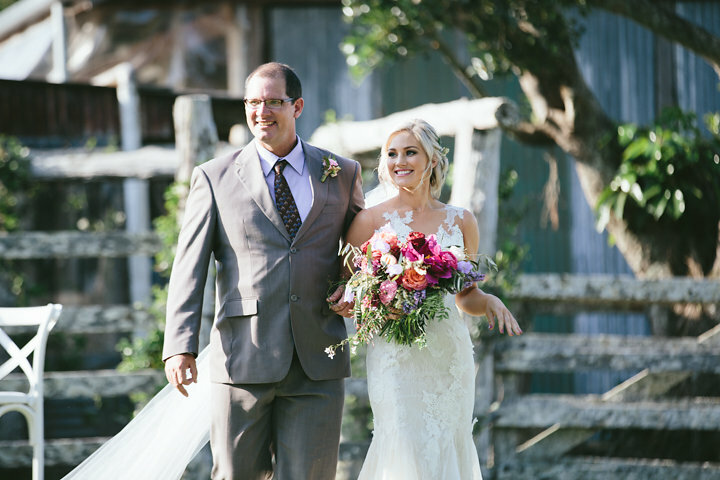 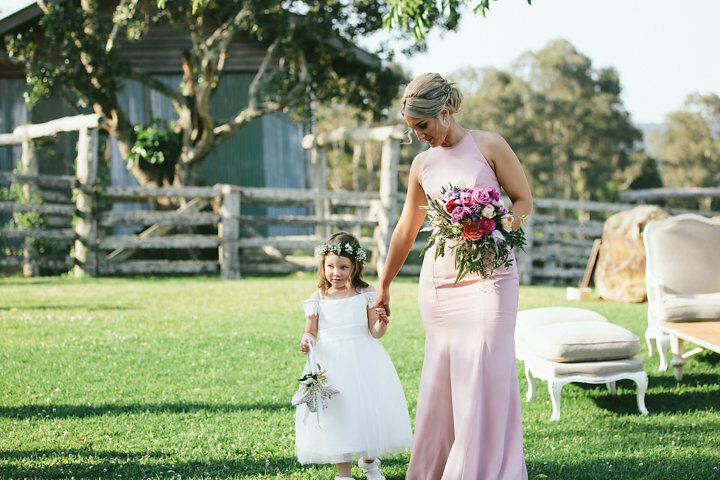 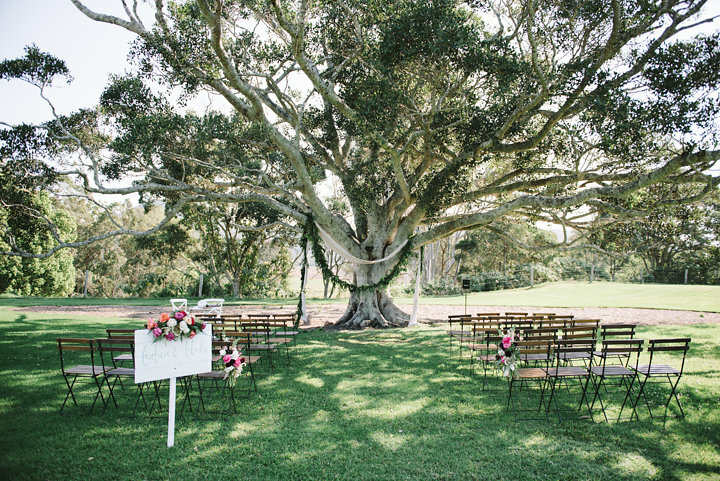 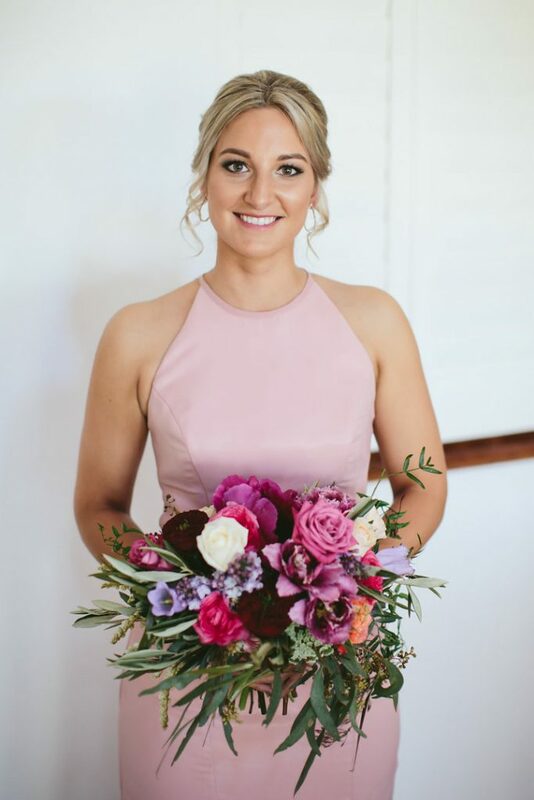 Felicia and Blake said ‘I Do’ underneath that grand old tree at Yandina Station and we adored creating the stunning floral concept for their special Sunshine Coast Wedding day, it certainly had plenty of whimsical country wedding style. 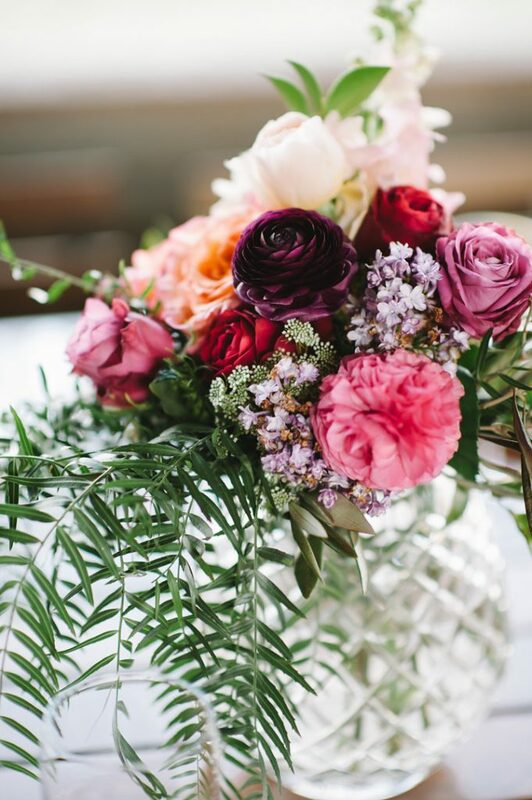 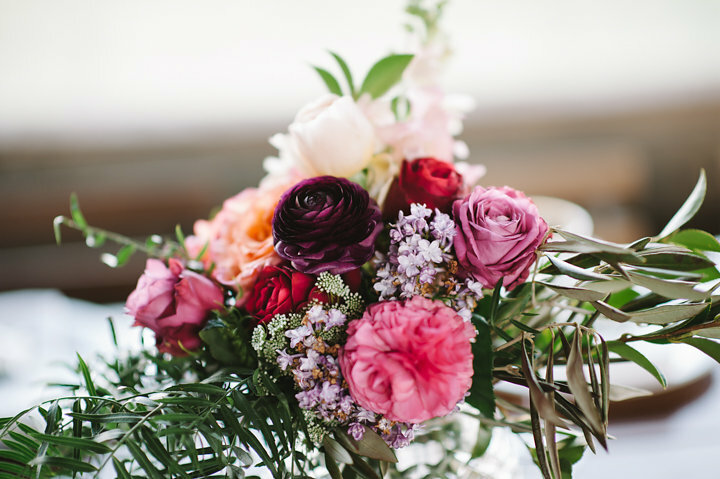 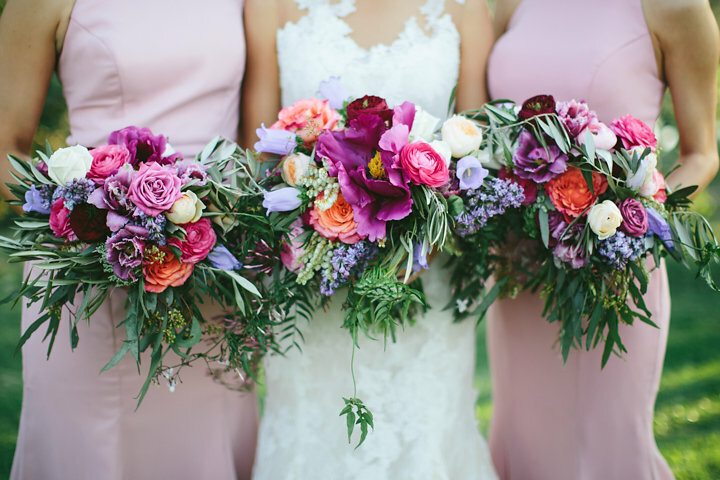 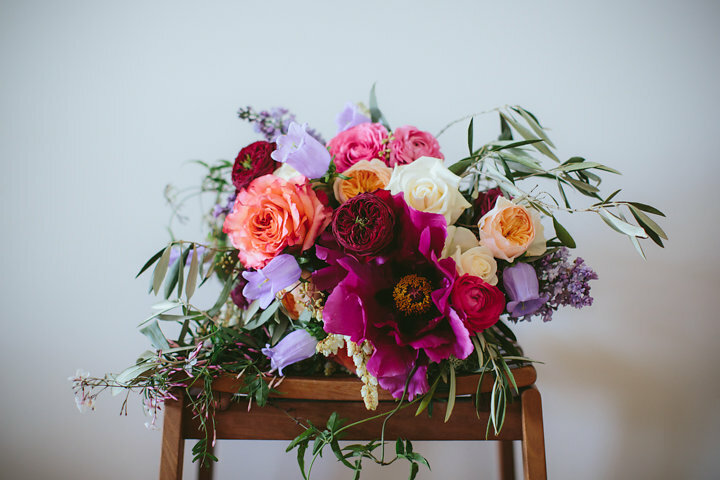 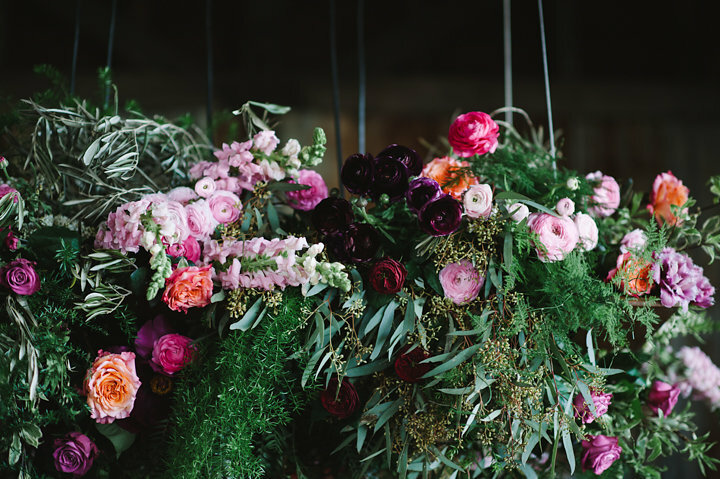 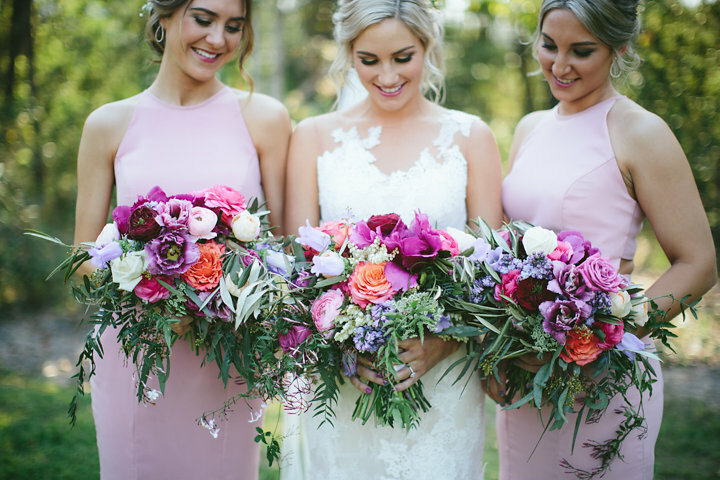 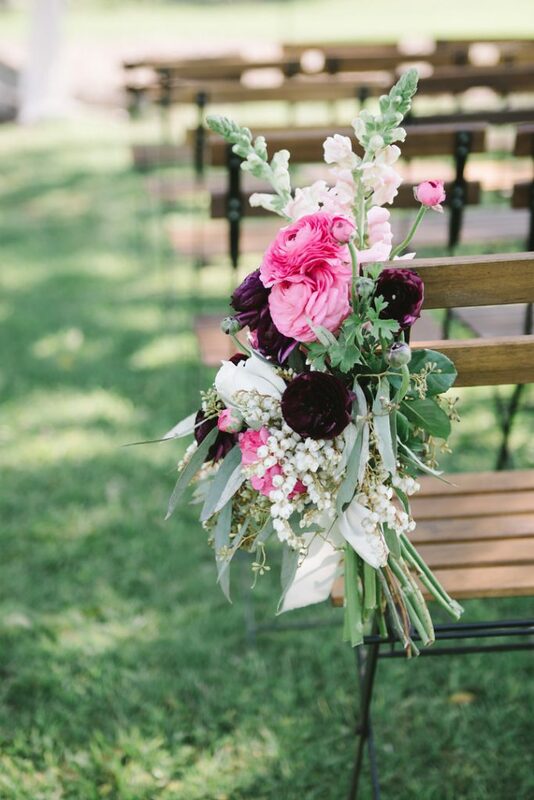 This divine Spring wedding concept featured rich bold blooms and included a colour palette of plum, magenta, burgundy, crimson, coral and peach. 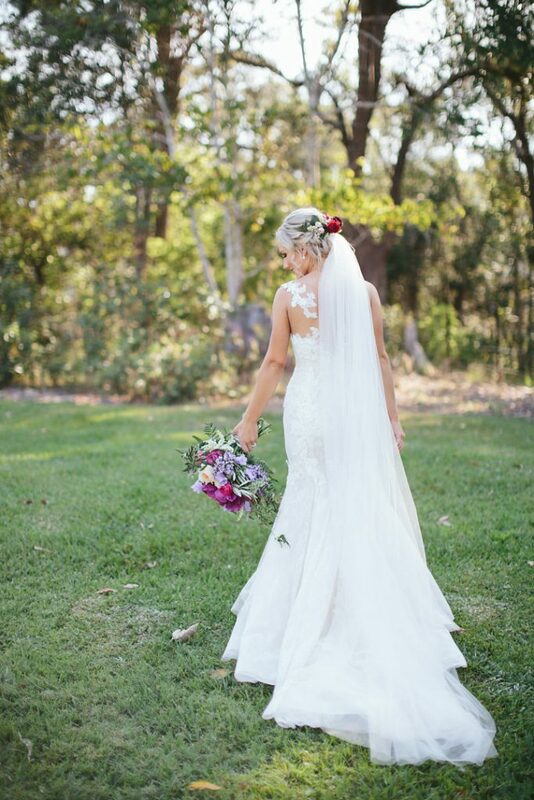 Our beautiful bride Flick was an absolute delight to work with, all of our communication was via email and phone, as is the case with many of our clients who live interstate or overseas, it may seem impossible to plan a wedding this way however with our creative concepts and reliable and precise communication it is a very seamless process and we were able to create the perfect floral concept that reflected Flick’s love for colour and the beautiful refined country setting. 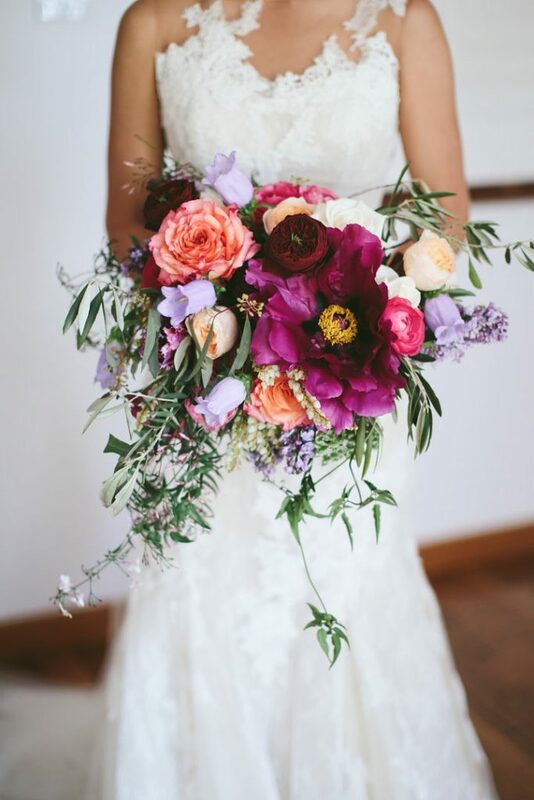 The whimsical unstructured wedding bouquet designs also featured a sneaky peony or two! 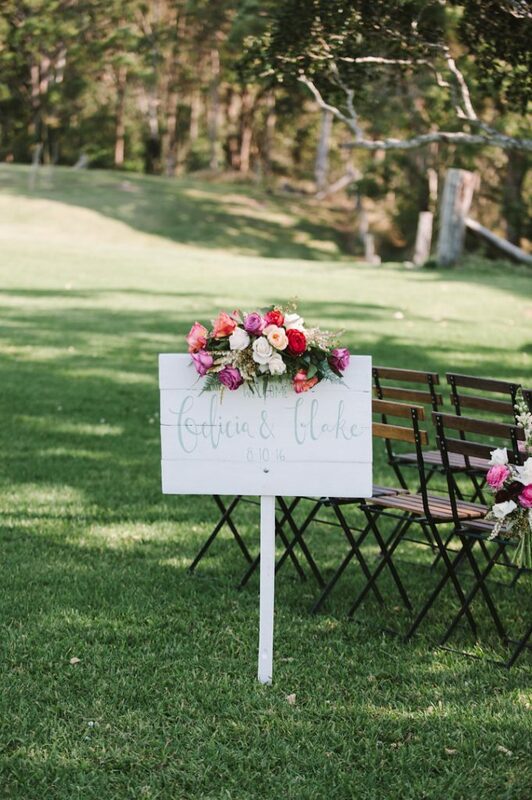 We were very fortunate to be able to source the early peonies for Flick and Blake’s special day. 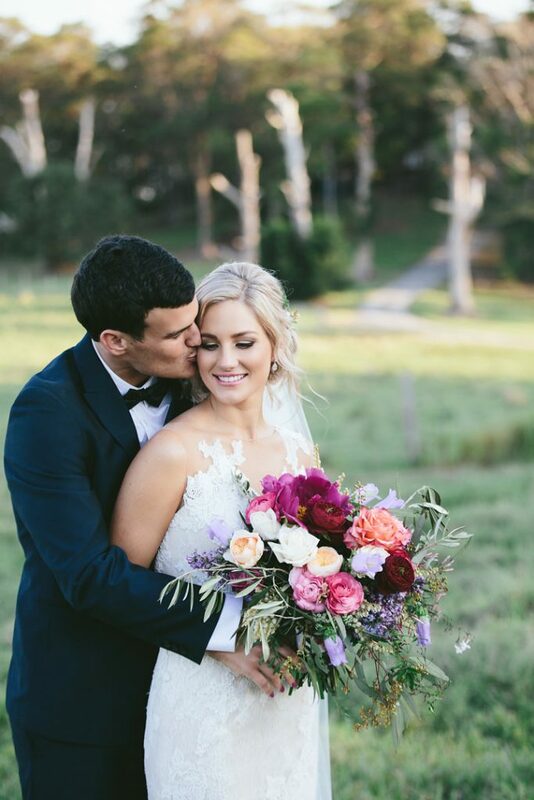 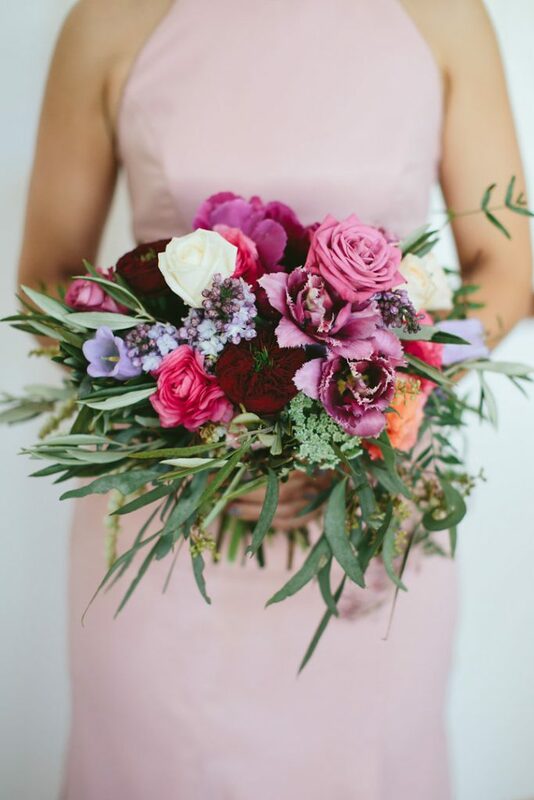 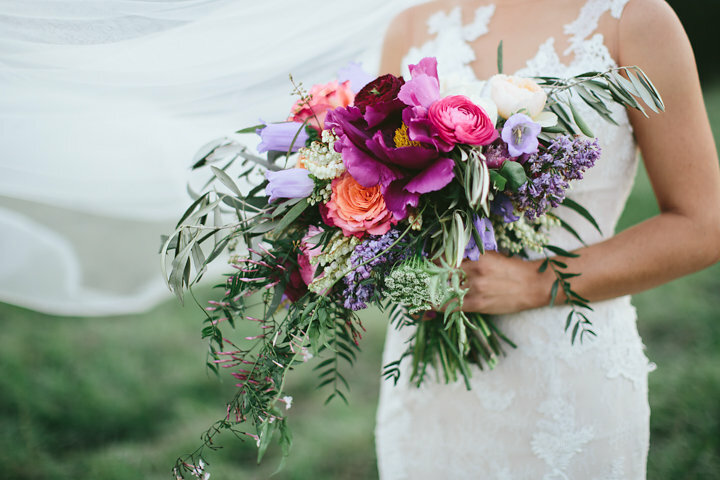 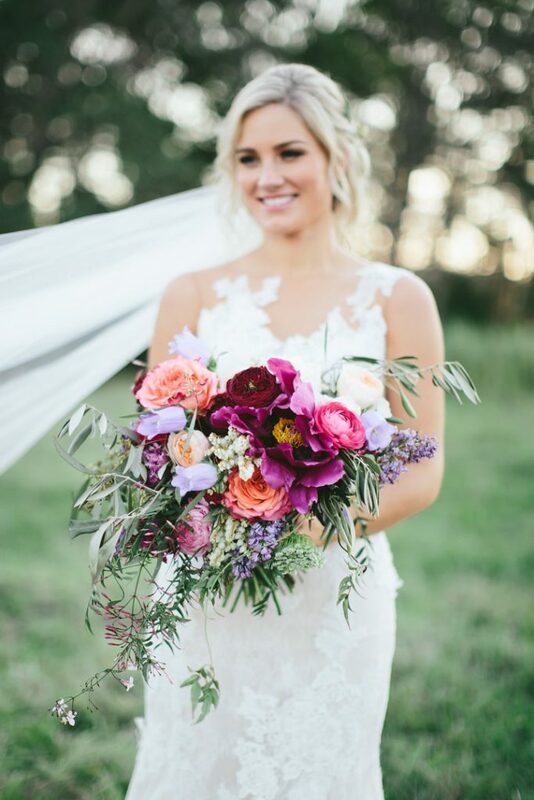 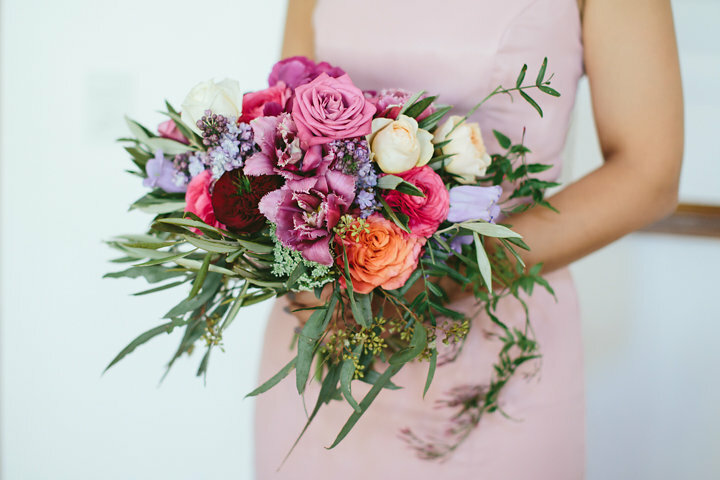 Stunning colour and vibrant blooms featured with an array of textural foliages and just a slight touch of rustic to add to the glamorous country inspired bouquet designs. 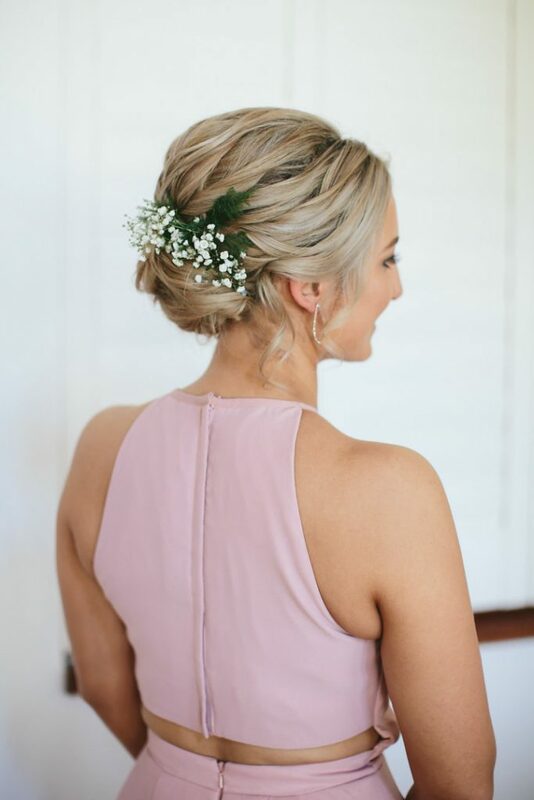 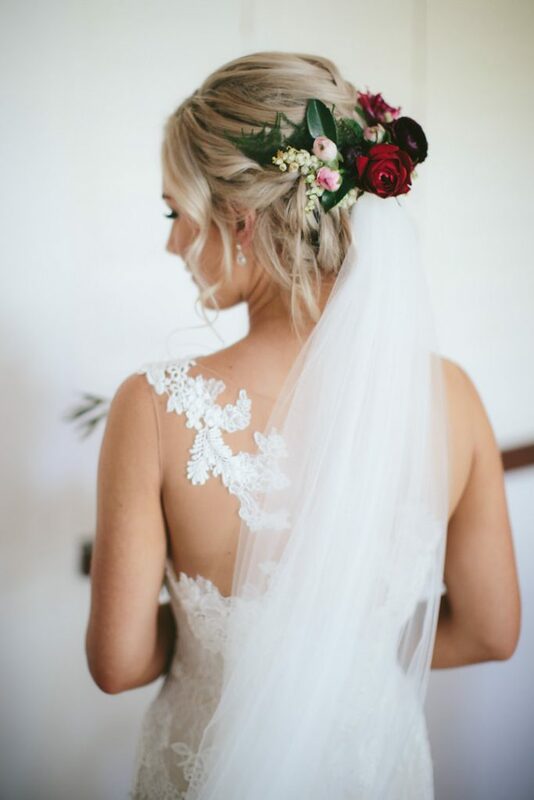 Hair florals also featured throughout the bridal party with our gorgeous floral sections just perfcet accessory for veil hair style! 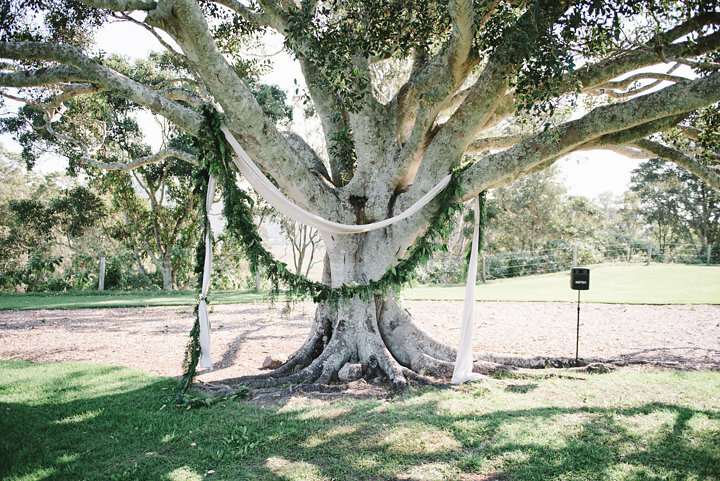 The ceremony featured a simple greenery garland that suspended delicately from the beautiful tree, chair posies and a touch of florals also accented the beautiful welcome sign. 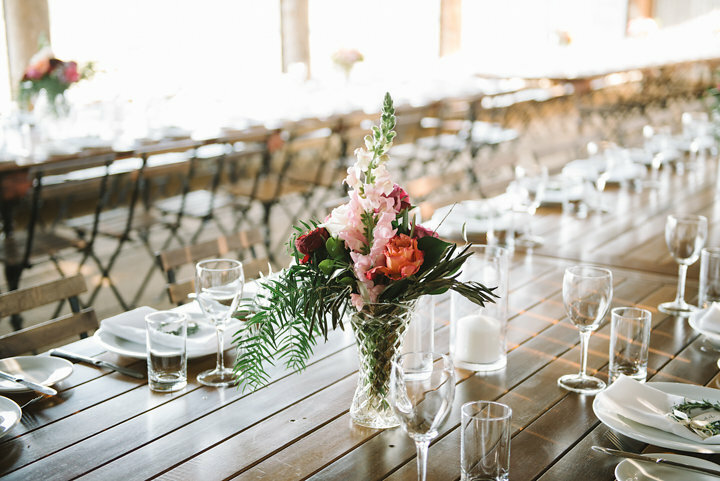 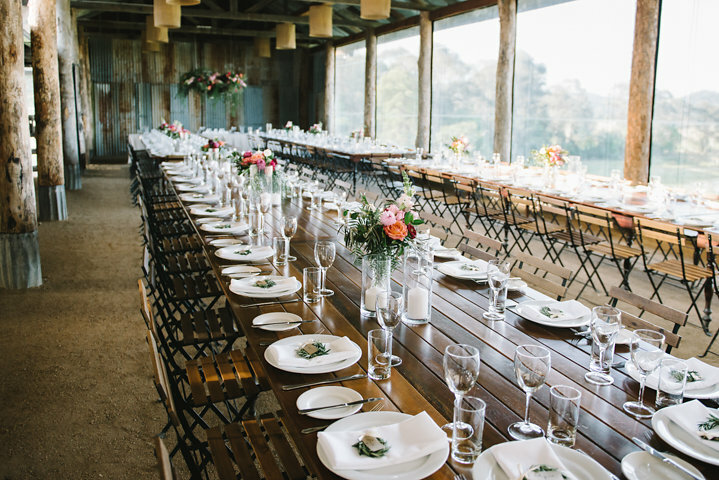 Lovebird Weddings also added their styled decor pieces to the stunning ceremony space. 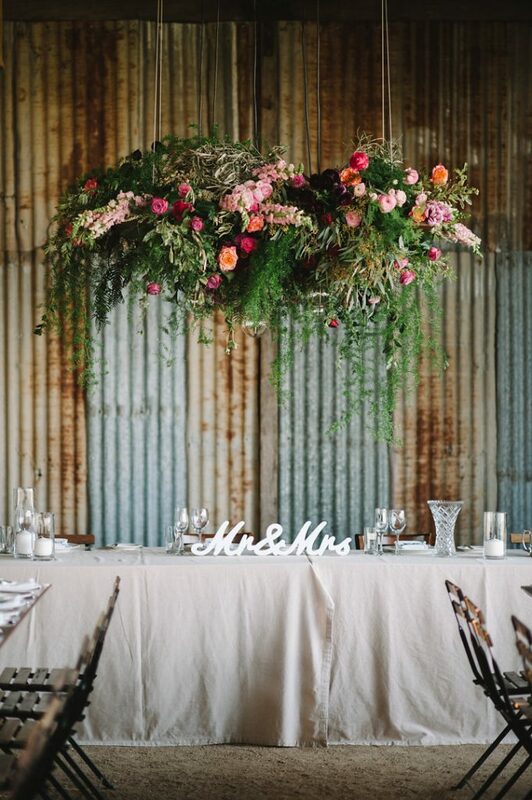 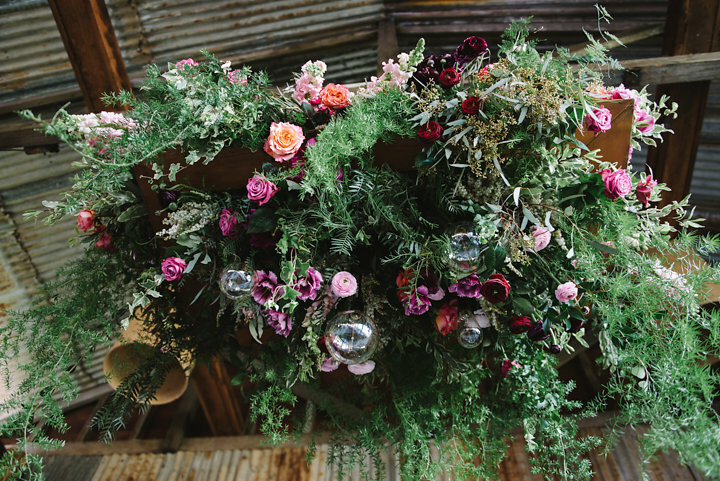 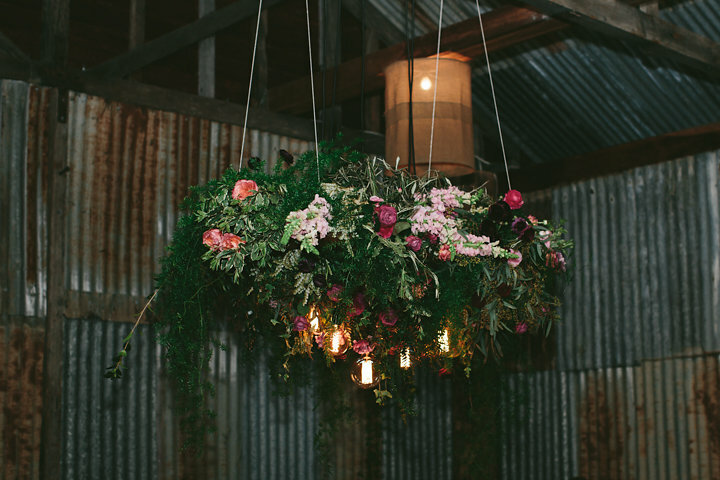 Our gorgeous floral installation featured at reception, the stunning colours showcased hanging from above added that extra floral touch to the beautiful barn space, and who doesn’t love a hanging floral design for that little touch of floral drama! 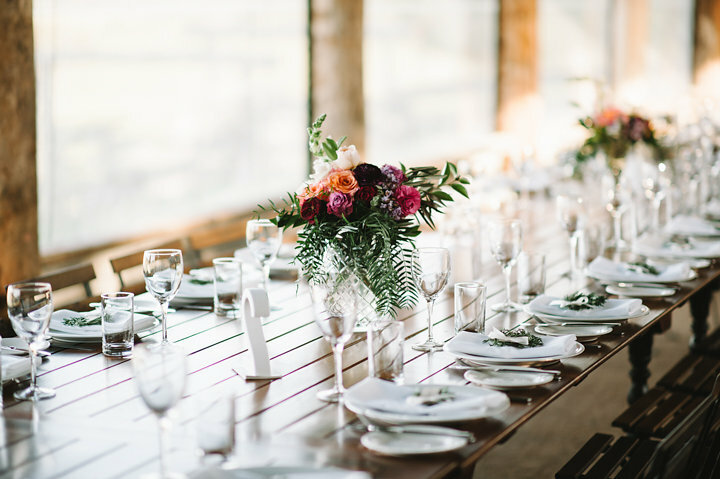 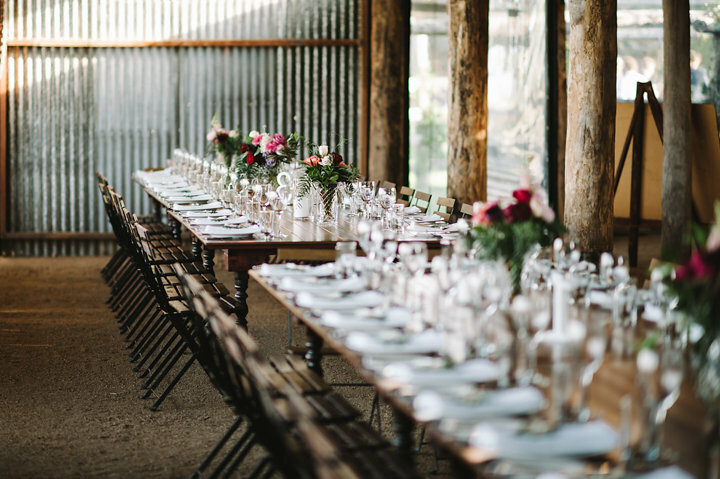 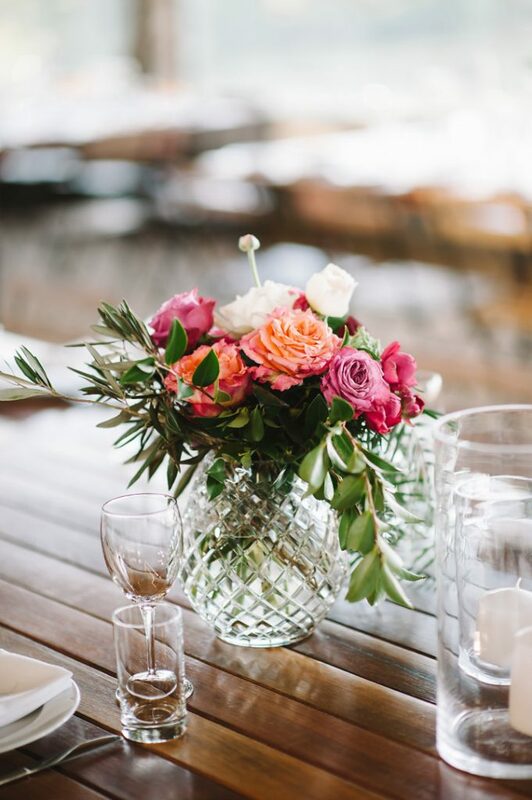 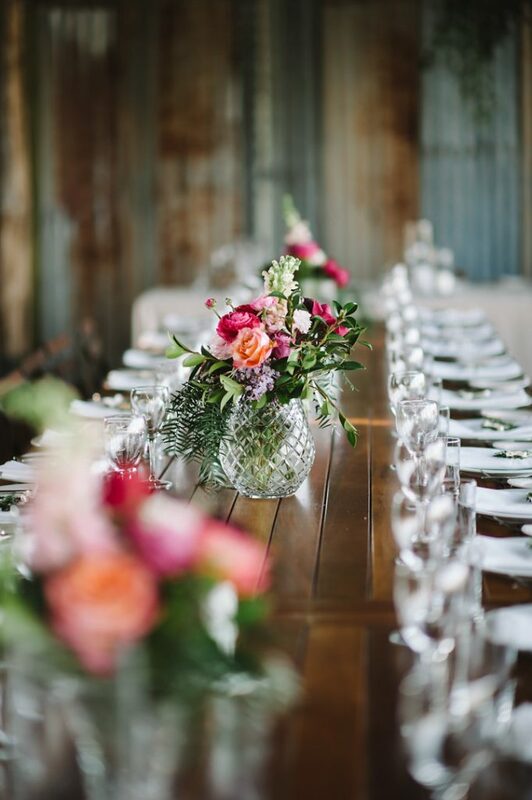 Our crystal vases featured on the timber feasting tables, with added details provided by the team at Lovebird Weddings. 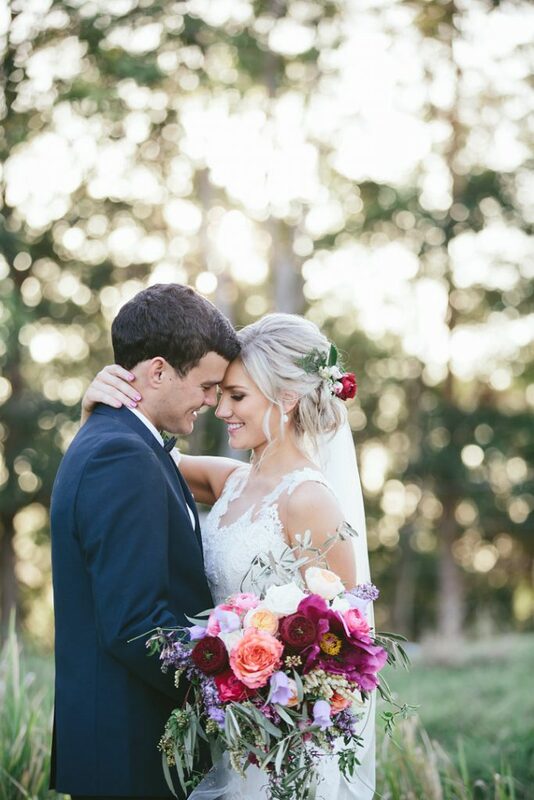 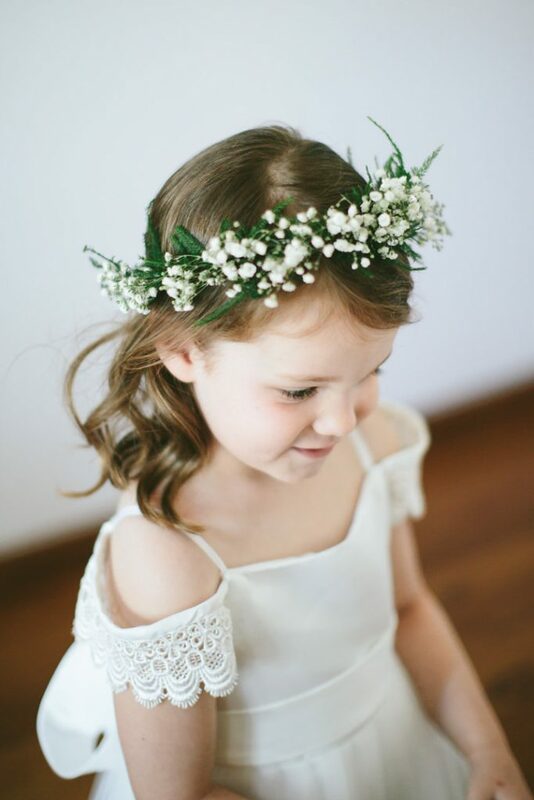 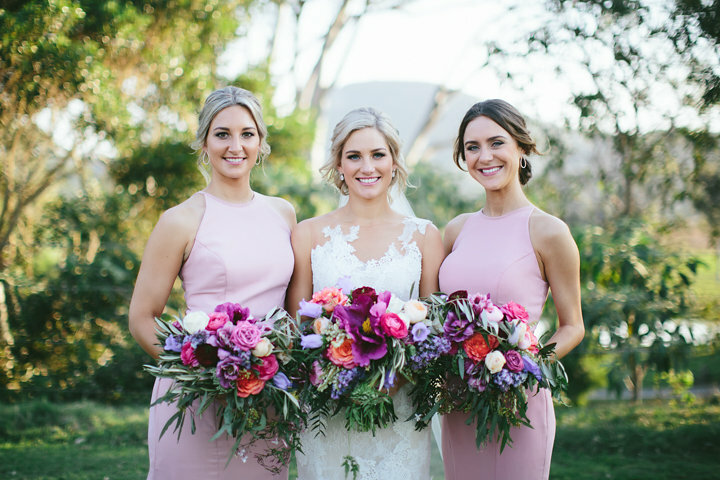 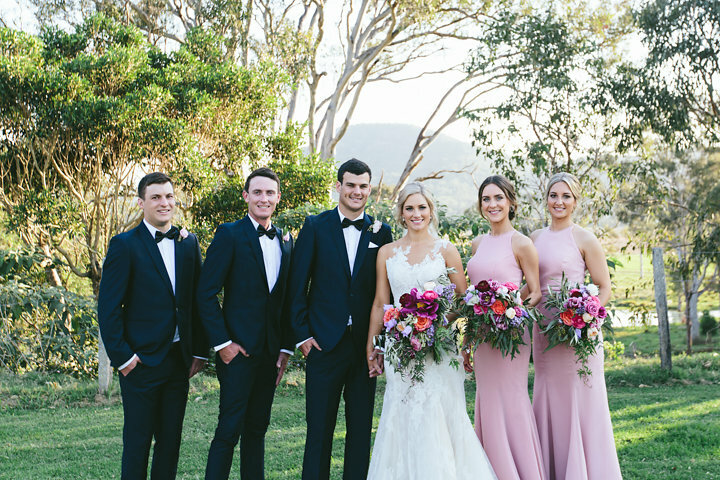 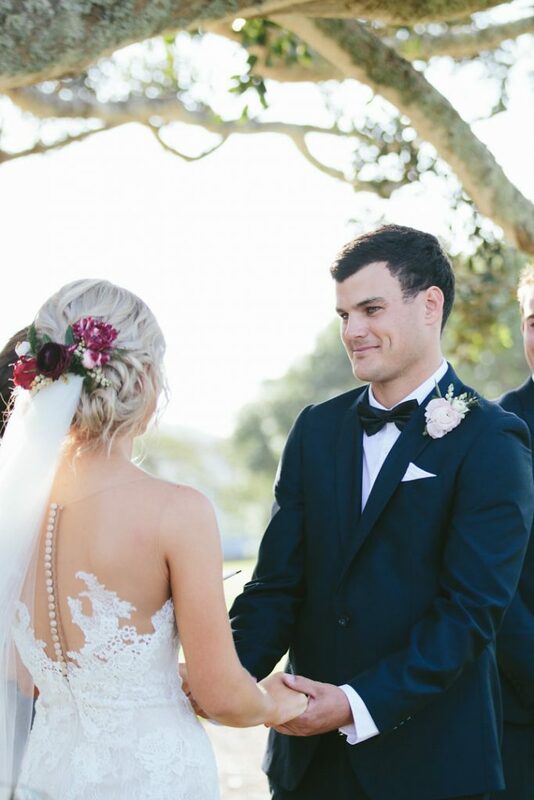 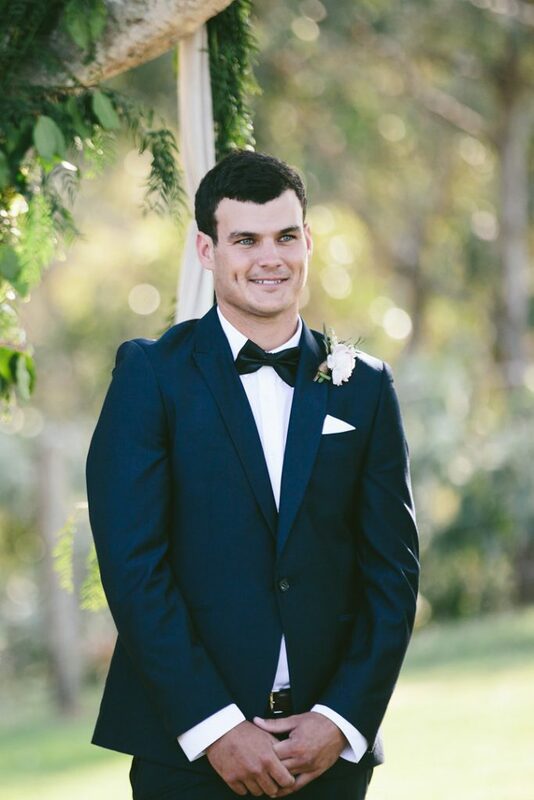 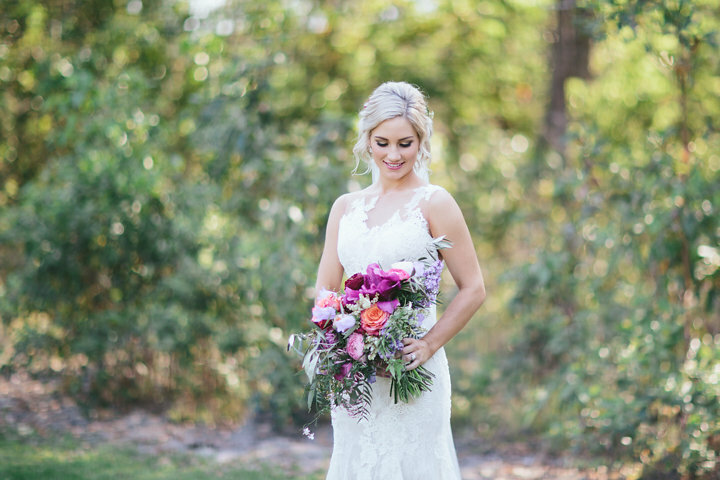 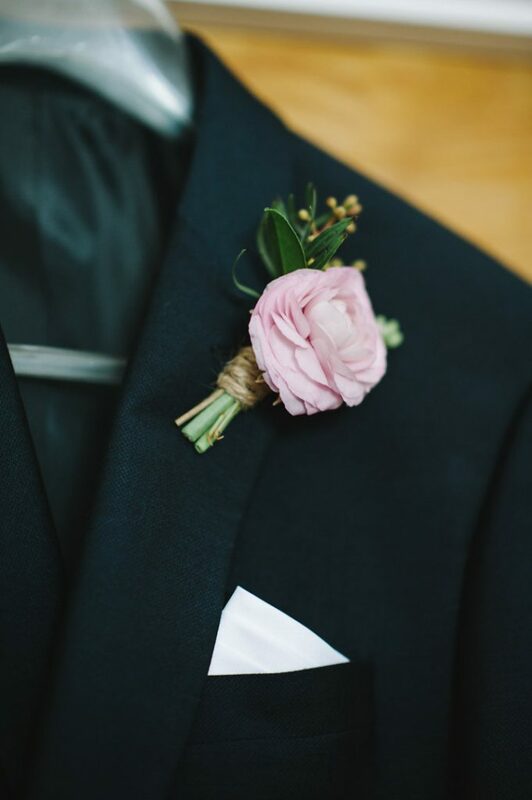 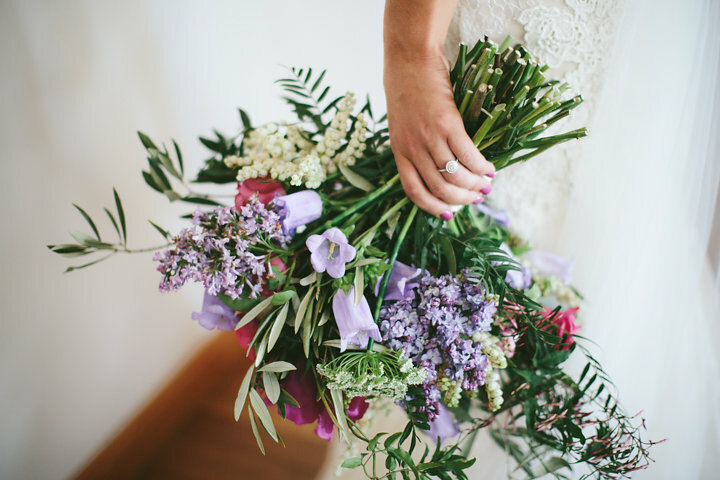 The stunning sophisticated wedding day style featured whisical country floral blooms with plenty of refined wedding day style, and the beautiful images captured by White Images share the gorgeous moments from this gorgeous love story. 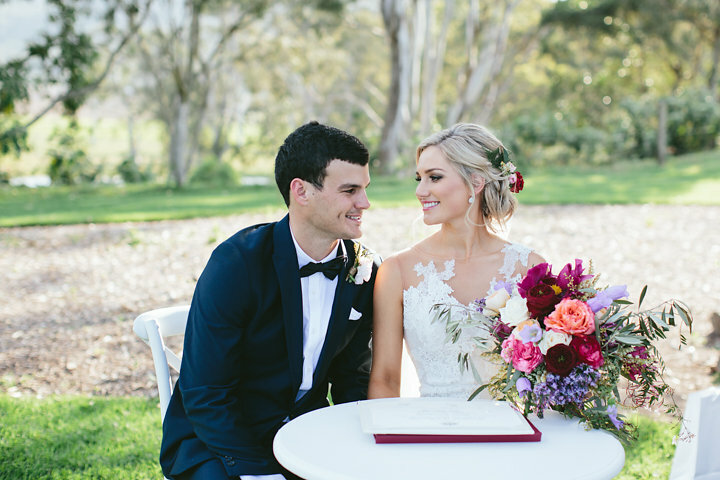 Congratulations Flick and Blake, it was an absolute pleasure being a part of your gorgeous wedding day.